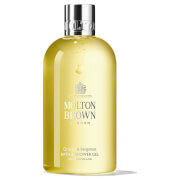 Prodigieux® Huile de douche is an ultra-sensorial shower oil for all skin types. Precious iridescent texture, an oil sprinkled with golden pearly particles transforms into a very fine foam on contact with water. Formula gently cleanses the skin and gives it a satin feel. 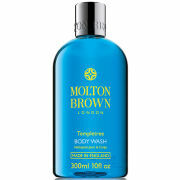 Dreamy scent leaves skin deliciously fragranced and transforms a shower into a truly pleasurable experience. Use on damp skin, then rinse. Aqua/Water, Sodium Lauroyl Sarcosinate, Coco-Glucoside, Glycerin, Cocamidopropyl Betaine, Parfum/Fragrance, Glyceryl Oleate, Acrylates/C10-30 Alkyl Acrylate Crosspolymer, PEG-7 Glyceryl Cocoate, Benzyl Alcohol, Phenoxyethanol, Glyceryl Laurate, Sodium Chloride, Sodium Gluconate, Sodium Hydroxide, Citric Acid, Mica, Prunus Amygdalus Dulcis (Sweet Almond) Oil, , Ci 77891/Titanium Dioxide, Dehydroacetic Acid, Sodium Benzoate, Ci 77491/Iron Oxides, Hydrogenated Palm Glycerides Citrate, Tocopherol, Benzyl Salicylate, Linalool Limonene, Citronellol, Geraniol.